Big players like Amazon and eBay have already started investing in Blockchain technology to remove the dependency of middleman, and third-party organizations from their business model. The Blockchain technology is undoubtedly a revolutionizing technology, designed to store transactional data. The transactional data is not only limited to financial activities but, it can be any clear action that requires an unassailable record, including actions related to payment and order fulfillment. Today, most of the e-commerce sites including Alibaba, Unilever, eBay and more are struggling to implement Blockchain technology. The Blockchain is the latest technology that will be the next big thing in the future of e-commerce industry. Since the e-commerce industry is the fastest growing industry, therefore, many problems are emerging in today's e-commerce business model. Most of these problems are associated with payments, supply chain management, data security, transparent marketplace, satisfied retailers, efficient management systems, and satisfied consumers. It is expected that shortly, Blockchain technology will be beneficial to resolve all these issues and will have a potential impact on the e-commerce sector. In this article, we will explore how the Blockchain will solve e-commerce problems and how it will be changing the e-commerce industry. The Blockchain technology is transforming e-commerce industry by providing low-cost financial transactions, high-security standards, and overall fantastic customer experience. Here are a few practical ways through which Blockchain technology will change the e-commerce industry. Sharing and receiving money was never that easy before Blockchain-powered currencies. Today, cryptocurrencies are commonly adopted as the alternative currencies, enabling shoppers to pay with Bitcoin in the same way shoppers did with PayPal, Stripe, or any other payment processor. Over traditional currencies, Bitcoin offers various benefits to both customers and merchants, and it allows customers to share and receive money as quickly as sharing a QR code. Some Blockchain projects such as Request Network and ECoinmerce is moving forward with an aim to build a Blockchain based marketplace using fast and secure transactions for any e-commerce business model. The Request Network is also implementing Blockchain technology for the financial transactions aspect of the e-commerce industry by providing cost-effective financial transactions, high-security standards, and overall excellent customer experience. Blockchain transactions work on a main & single network, and it eliminates the need for third parties involvement. Online Transaction speeds are controlled by the network speed and with the rate at which new blocks will form. 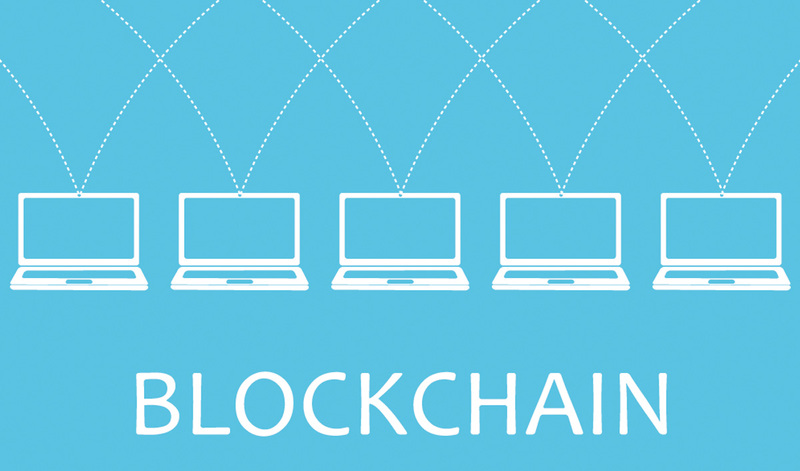 Moreover, since Blockchain technology involves various systems, it enables business owners to reduce cost related to IT support, administrative tasks and so forth. Also, cryptocurrencies like Bitcoin, Bitcoin cash, Litecoin, and other digital currencies are quite cheaper compared to conventional currencies. Therefore, by spending less on transactions, customers and shop owners will be able to initiate considerable savings. One of the key benefits of incorporating Blockchain technology in the e-commerce platform is each block in the Blockchain links to the previous block. It makes a visible chain of events that closely reflects the process of fulfilling an order. For example, if a customer is placing an order on the Blockchain-powered e-commerce site, every step in the ordering process adds a new block to the chain with the time required to perform a specific action. When a customer orders something on Blockchain-powered e-commerce, as soon as he will select the item and enter shipping information the marketplace will generate a block as a proof of work. Similarly, on the completion of every step, a block will automatically generate that will verify the entire order fulfillment process. There are more benefits to Blockchain technology. It reduces conflicts regarding payments and other order details. Also, it is reported that only 1-3% global e-commerce transactions face disputes related to payment and orders; however, due to the Blockchain public record, this will reduce further. The Blockchain technology does not only enable us to more securely and transparently track all order fulfilments and transactions. It also entails endless possibilities across the e-commerce supply chain. The Blockchain-based e-commerce platforms document every single transaction when a single product changes hand. It means Blockchain powered e-commerce sites can easily create a permanent history of every product, from manufacture to sale. Incorporating Blockchain technology in the e-commerce world will radically reduce time delays, added costs, and human error that disrupts transactions today. Implementing Blockchain technology in the supply chain will make sure that the recorded data is transparent. It will assure that any alteration in the quantity or quality will be tracked and for this reason, we are expecting that Blockchain technology will be a boon for the retailer, e-commerce platform and the customers. The Blockchain technology will help retailers to store all information to the cloud which means there will be no need for administrative work. Moreover, it will digitize the logging process through which retailers will easily access the needed information without relying on other partners. With Blockchain technology, operations will be more streamlined. Retailers can access all the product related information from one location. It will improve both communication and operational processes. Since Blockchain comprises a decentralized nature. Therefore, it promotes transparency. Customers and retailers can access information anytime related to their shipment tracking. It allows retailers to know where their stock is at any given time which is especially helpful in the e-Commerce industry. Also, it will help retailers to determine when an item will arrive and whether or not the vendors are supplying the correct products. Moreover, the information stored on Blockchain is free from third-party manipulation. That’s why this virtual network is impossible to hack. The incorporation of Blockchain technology in e-commerce will not only reduce the cyber-crime rate but will also establish trust between shoppers and retailers through its transparency. middleman, and third-party organizations from their business model. The application of Blockchain technology in the e-commerce model will save a lot of time consumed in the overall process ranging from inventory management, order placement, delivery operations, and other e-commerce related functions. We are expecting that soon Blockchain technology will penetrate the whole e-commerce industry. Sundas Noor is a Digital Content Producer working for CubixInc, a software development company in Washington, DC. She writes about Digital Marketing, Blockchain Development, Game Development, and Artificial Intelligence.